Pioneers in the industry, we offer laminates pouches, food packing laminated bags, bopp printed bags, salt bags, bopp laminated bag and aata pouches from India. Supported with our experts, we are engaged in offering an exclusive array of laminates pouches. The offered laminated bags are accessible in different sizes and customized options, in order to fulfill the variegated expectations of our patrons. Our provided laminated bags are properly tested by the team of our quality controllers so as to dispatch a defect free range to customers. 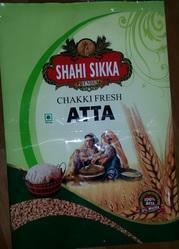 Also, our clients can avail these laminated bags from us at nominal prices in a given time frame. 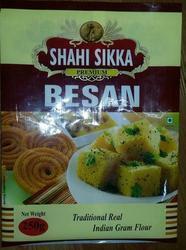 Our valuable customers can avail from us an attractive assortment of Food Packing Laminated Bags within the stipulated frame of time. These products are made from high quality components. We are acknowledged for our quality range of BOPP Printed Bags or Hosiery packaging bags used for all packaging purposes.These bags have gained huge appreciation by clients across the glove for their excellence and features. 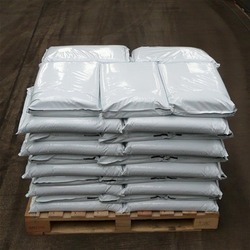 We offer our range of Bags at most affordable prices. Abiding by ethical business policies, we are engaged in offering patrons a comprehensive array of Salt Bags, which is ideal for packing perishable items. To ensure the same, we manufacture these bags by utilizing optimum quality raw material and design using modern machinery. Post production, we make these bags pass a test to ensure their flawlessness. By focusing on variegated demands of our respected clients spread all over the country, we are offering an exclusive range of . Our provided laminated bags are well designed by our experts using best quality material leading techniques in sync with the standards of quality. These laminated bags are offered in diverse sizes customized options in order to satisfactorily fulfill specific needs of our clients. 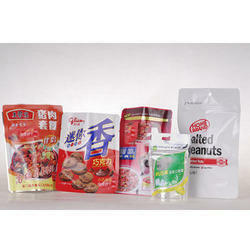 Offered laminated bags are high on demand in the market for its high strength quality.